The board and staff of JCIE are deeply saddened by the passing of Senator Daniel Inouye on December 17, and they extend their condolences to his family and his staffers in Washington and Hawaii. In addition to playing a pioneering role for Japanese-Americans at home, Senator Inouye went to extraordinary lengths to advance US-Japan relations, working selflessly to strengthen dialogue between legislators and other leaders in both countries. His disarming humility and graciousness while representing his nation won him a legion of admirers in Japan and around the world, further buttressing bilateral ties. 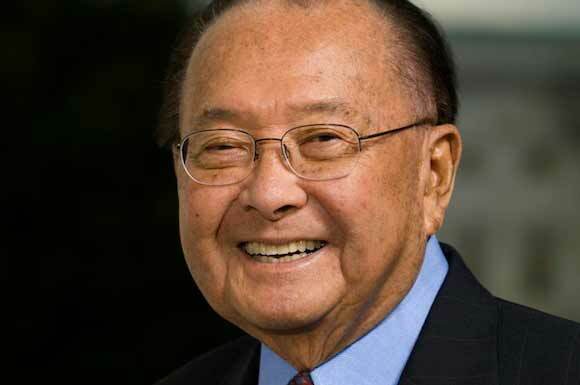 With Senator Inouye's passing, we have lost a giant in the field of US-Japan relations. He will be dearly missed.